As drought conditions maintain their regular occurrence in Australia, so does hardship continue to play a major role in the lives of many farmers and their families. But there is a new program that is trying to help make life easier for those struggling in these dry conditions. Buy A Bale is a program that has been set up to help farmers in times of high need, such as droughts, floods and fires. 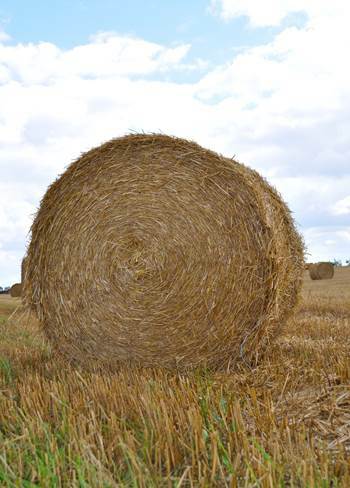 As their name suggests, you can ‘buy a bale’ of hay to help feed stock that have run out of food. However there are many other things you can do to provide much needed assistance to Australian farmers. We’ve listed some below but go to their website for more options. Donating a holiday for a farming family, be it in your own holiday home or a cottage on your farm. Providing cash which can be used for hale bales, diesel for farm and town vehicles or gift cards for groceries or clothing. To find out more about how you can help Australian farmers in need, please visit the Buy A Bale website (will open in new window). We believe this is an amazing initiative where anyone can provide a level of support that is within their means. Many farmers are too proud to ask for assistance but help is needed now. Swiss Trucks Travel Up Mountain On Ropeway! Volvo Testing Electric Roads For Buses Possible Major Water Reservoir Deep In The Earth Are Self-Driving Cars the Future?